With the release of a Christmas range there is always the inclusion of lots of yummy smelling soaps. 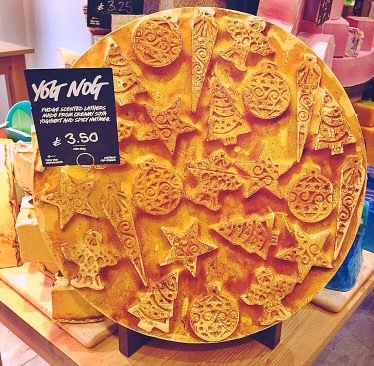 The Yog Nog soap was originally released in 2014 and then made its appearance again in 2015. 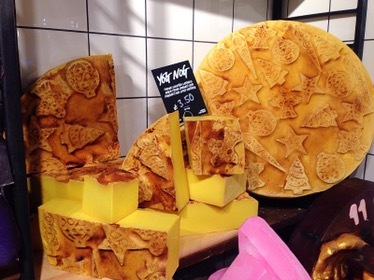 This soap is absolutely amazing to look at, when you see it in store. The amount of detail that is included in this soap is incredible. The surface is covered in little Christmas trees, baubles and other christmasy themed items, creating the most wonderful spectacle to look at. The design of this soap is great to be part of a Christmas range and it looks good enough to eat, it is even topped with a good helping of cocoa powder and nutmeg powder making it look more like cake than soap. 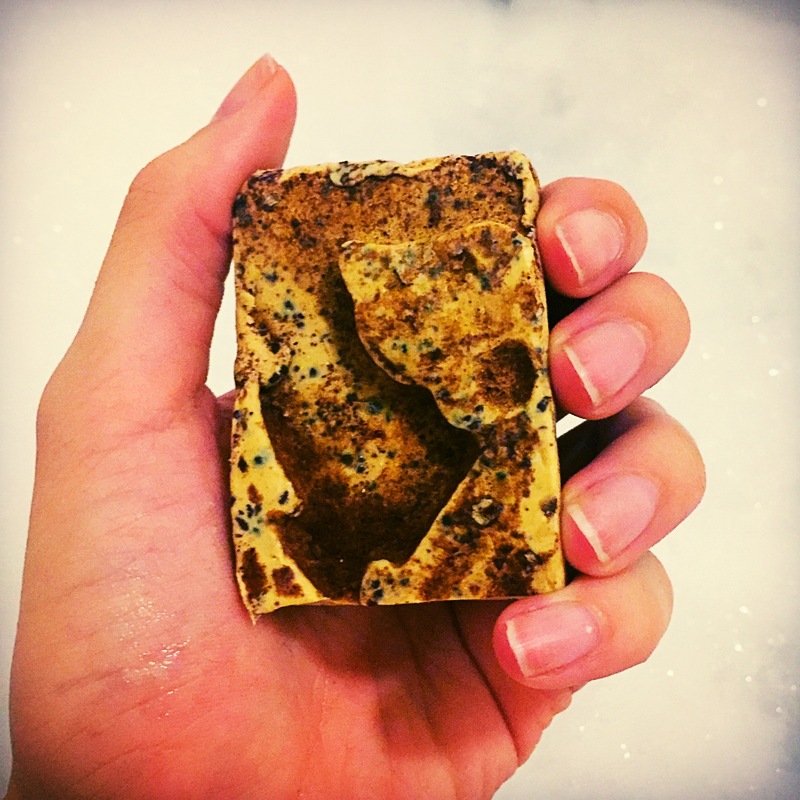 The scent of this soap is just as yummy as its design. 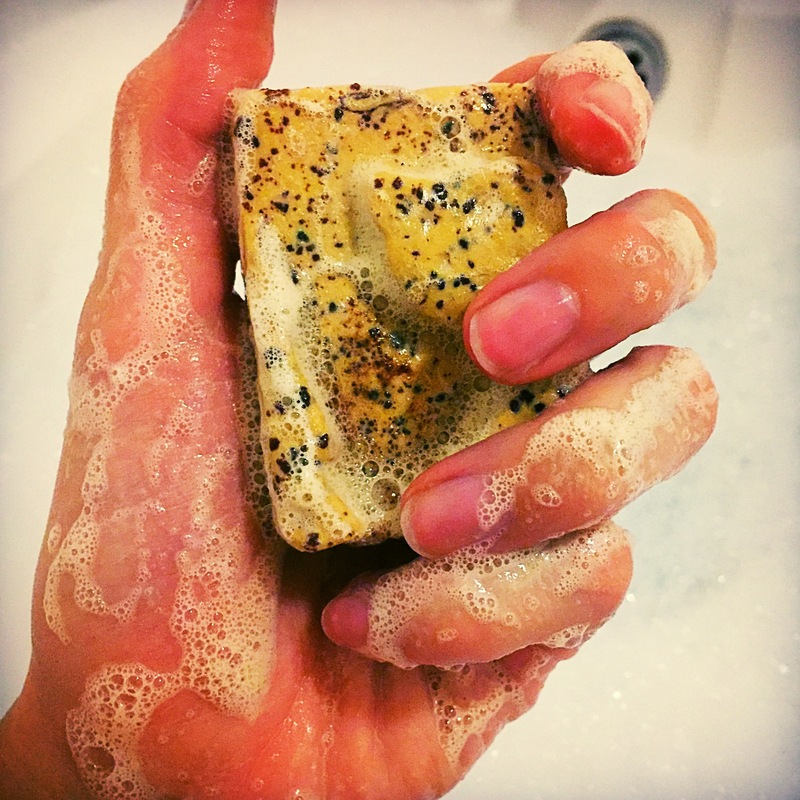 The soap shares its scent with the much loved Yog Nog bath bomb released in 2015. The Yog Nog scent is a mixture of sweet, fudge , buttery, cocoa goodness. It is a very warming scent rather than a sickly sweet scent and is perfect to indulge in over the cold winter months. I found the Yog Nog soap lathers up very well when mixed with water and creates a thick lather which leaves the skin feeling surprisingly moisturised. The soap scent lingers on the skin for a long time after use and leave a yummy scent in the bathroom for hours. Overall to say I’m not the biggest soap fan I really enjoyed using the Yog Nog soap! It is defiantly in my top 5 soaps due to its gooey cake like scent which appeals to my very big sweet tooth. What’s you favourite Christmas soap? INGREDIENTS: Water , Glycerine, Rapeseed Oil and Coconut Oil, Sorbitol, Soya yoghurt, Perfume, Clove Bud Oil, Ylang Ylang Oil, Gardenia Extract, Titanium Dioxide, Sodium Chloride, EDTA, Tetrasodium Etidronate, Sodium Hydroxide, Eugenol, Linalool, Cocoa Powder, Nutmeg powder.